This year was Thanksgiving in San Diego with the Smart's. 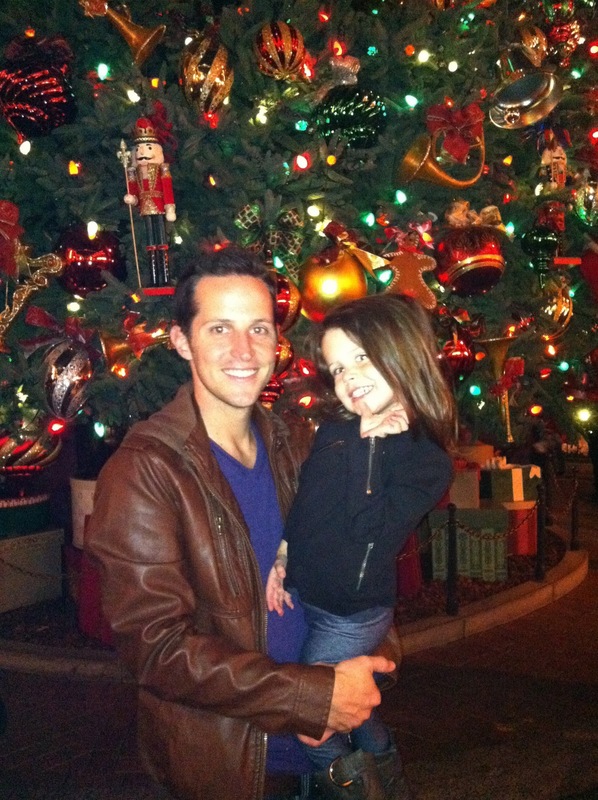 So since Ryan got off a little early on Wednesday to Disneyland. This was by far the most fun we have had together at Disneyland-let's just say it is not Ryan's most favorite place on earth. So thankful for this handsome hubby of mine and this adorable little daugther. It was so nice not having to travel this year and still got to see all of Ryan's side of the fam. Even Jake made it who surprised us all Thursday morning. 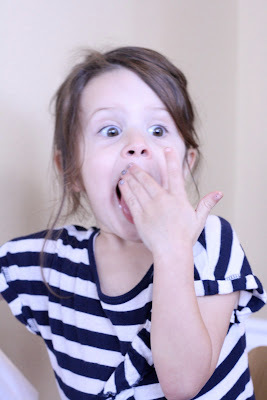 I have never seen Brenda so surprised and happy-closely related to the time we told her we were pregnant with Camryn. Since our niece was going to be there this year Brenda made a "kid's table." I was so excited about the idea that I had Camryn make a tablecloth of hand turkeys-which I later added beaks and legs. I had seen a idea for turkey cups on my beloved Pinterest but modified it with felt I already laying around the house. Sadly, Cassidy slept through most of dinner but, this girl loved her table. Either that or the sparkling apple cider. Her face right after she tried it. Let's just say she didn't eat anything else for Thanksgiving. Wish I could say the same for the rest of us. We had such an amazing spread all done by Brenda. So yummy. We don't look very happy here but I swear we all had a good time. We even got to have our close friends Lauren, Mike & baby Liam for dinner. Couldn't have asked for a better group and great conversation. 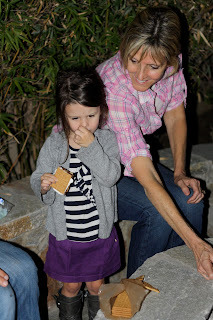 After dinner S'more's for the granddaughters that we all ended up joining. 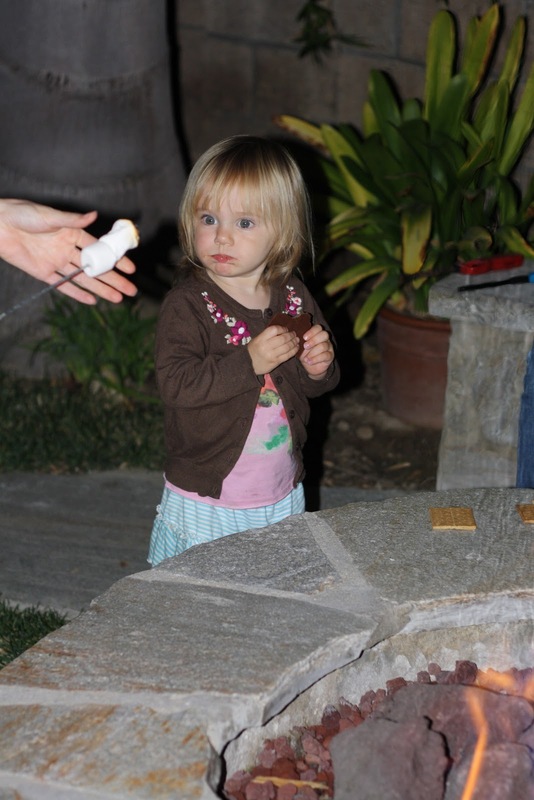 This little Cassidy is so cute. It was fun getting to know her personality better. Let's just say she is the exact of Camryn in every way but they got along great. 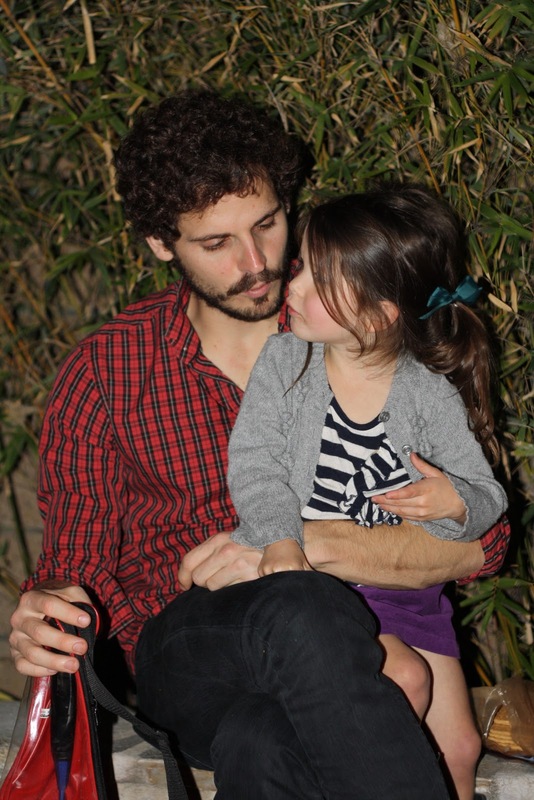 Camryn with her favorite Uncle Jaker as she calls him or sometimes Uncle Waker. 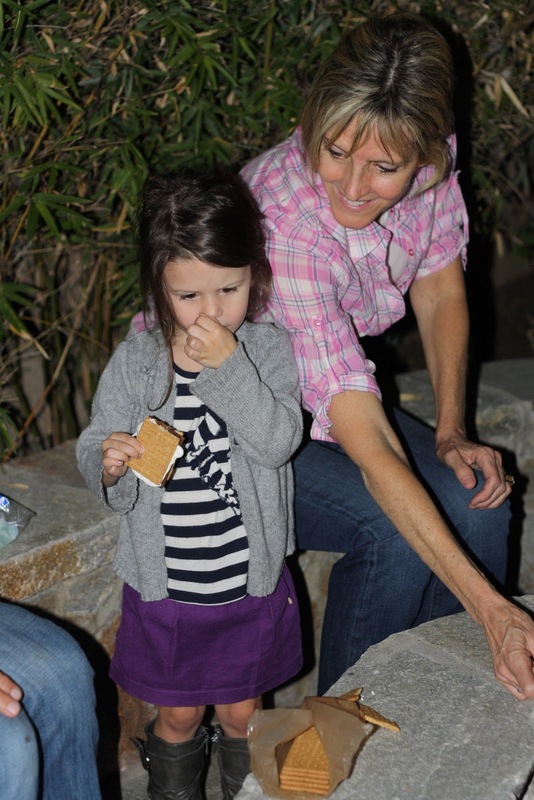 She adores being around family so much. The next day everyone from out of town wanted to head to the beach, so very unprepared we headed down as well. Glad we went cause we ended up seeing a bunch of tide pools and Camryn loved watching her uncles Kayak. It was so good to be with everyone, it was just a little too short-thank goodness Christmas is just around the corner. LOVE the tablecloth!!! 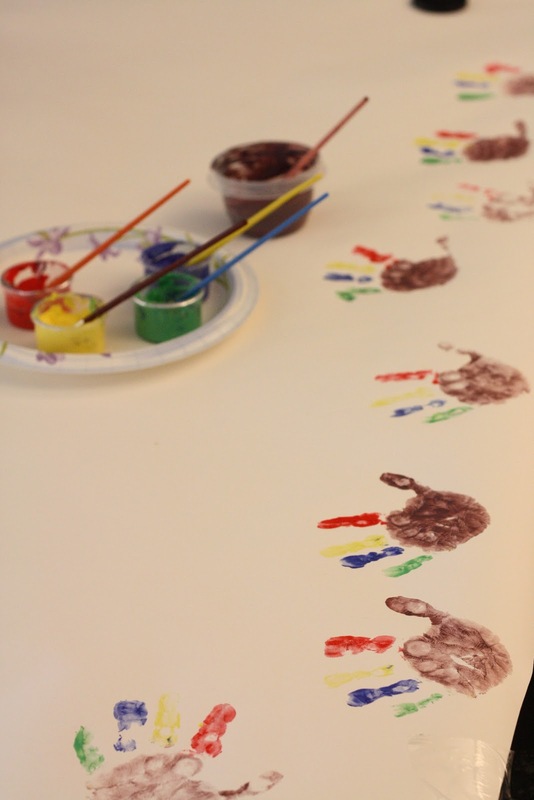 Kyle made a single turkey like that at preschool...I love handprint crafts! Pinterest really is one of the coolest places! How nice you got to have everyone together. Yay for cousins! You guys are the best for letting us crash the family feast. Love you Smarts! that kids table is so cute! great idea. and camryn makes me laugh, i love that girl. wish we lived closer so our babies could be friends! Great ideas-all looks so cute! I'm going to have to remember about the sparkling cider for Christmas. Why would you ever think she wouldn't love that?